Most people are very visual by nature. As the cliché goes, “a picture is worth a thousand words.” So why not place an emphasis on visual media when engaging in digital marketing? A good picture can draw a lot of attention when you share it on social media pages because it is easily noticed in followers’ news-feeds and contains information that can be digested much quicker than a standard text post. An Internet meme is an activity, concept, catchphrase or piece of media which spreads, often as mimicry, from person to person via the Internet. Some notable examples include posting a photo of people lying down in public places (called “planking”) and uploading a short video of people dancing to the Harlem Shake. A meme is “an idea, behavior, or style that spreads from person to person within a culture”. That’s not to say you should share every image you find on the web. Remember: you still have a brand image to uphold, so you need to make sure the image aligns with the vision you want your followers to have of your company. • New. If you’re creating an info-graphic, for example, make sure it tells people something new. By now, everyone knows the basics of SEO and link building. You should also refrain from sharing pictures or memes that have already made their rounds across the internet. • Relevant. Again, you want to make sure any content you share is relevant to your company and what your target audience might be interested in. • Emotional value. Images you share could be funny, sad, uplifting or meant to incite anger (to an extent). You want your followers to feel something when they look at images you share. • High quality. This is especially important for original images. If you’re creating some sort of info-graphic, make sure it’s been done professionally. The last thing you want is a graph that looks like it was made in MS Paint. 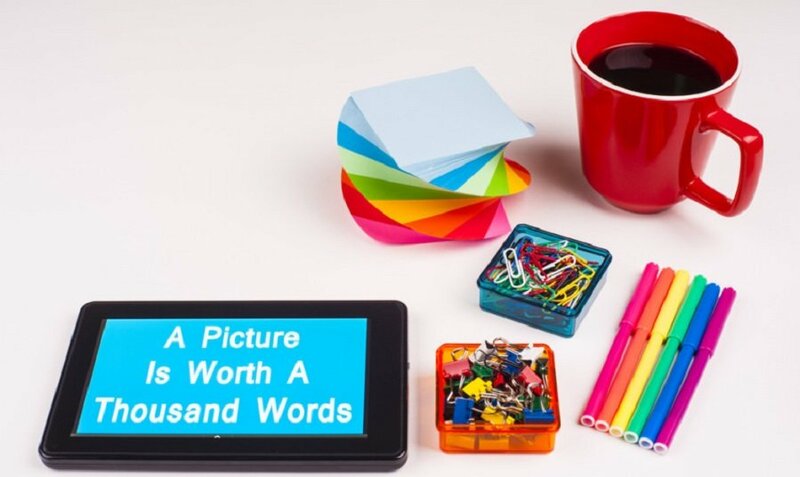 Need more tips about using visual content in your social media marketing? Contact our team at Viral Solutions today!